4 spacious, nicely decorated bedrooms. Large living room (50 sq.m.) offering every modern comfort to ensure an enjoyable overnight stop or longer stay with family or friends. A top quality and very convenient stop-over for cyclists and hikers! 4 bedrooms (double bed) (queen size bed) (3 single beds) (2 single beds) on 2nd floor of lovely traditional house. Shower room, separate WC, bathroom/WC adjoining 1 bedroom. All bed/household linen provided. Washing machine & tumble drier available on ground floor (shared with owners). Gîte (150 sq.m.) 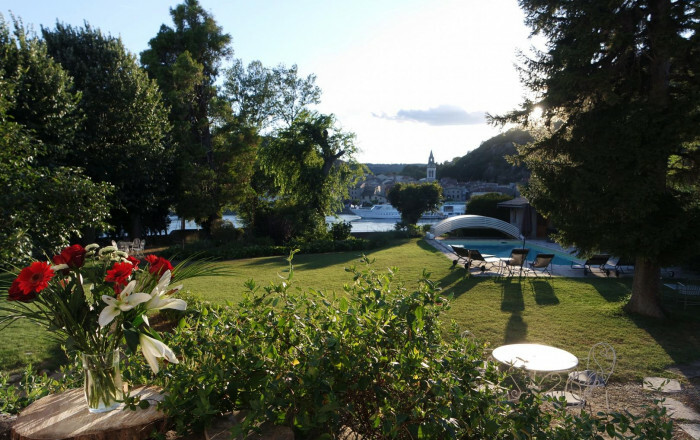 on top floor of lovely family house overlooking river Rhône and pretty village of Andance. Beside ViaRhôna long distance cycle track, at heart of Rhône valley vineyards. Tout était parfait ! Ne changez rien. Nous reviendra.